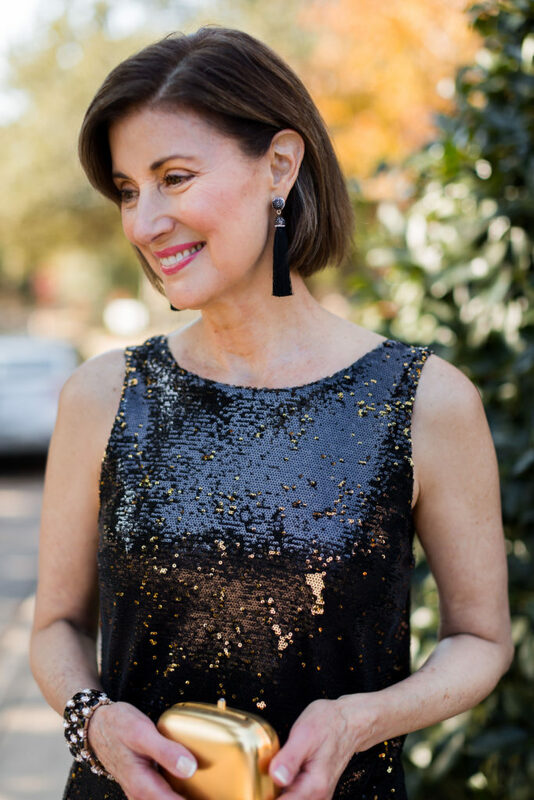 Holiday Party Looks and $750 Amazon Gift Card Raffle - Fashionomics "every page"
Happy Friday and Yikes it’s less than a week from Thanksgiving!!!!! My whole family is coming in – just the best news ever and we are babysitting Sloan this weekend. I need to scramble and try to get organized. Bill still hasn’t changed a diaper yet so not sure if I can run to the grocery store and leave him in charge!! Mom’s gotta scramble!! Have you noticed all of the Christmas lights as you drive around?? It gives me anxiety thinking that I have not even done any shopping yet but I do have some ideas for your holiday party looks. Whether it’s an office party, cocktail gathering or full out dressy occasion I have some things to show you!! Don’t miss the amazing opportunity to win a $750 Amazon Gift Card just in time for Black Friday shopping. I’m not gonna lie!! 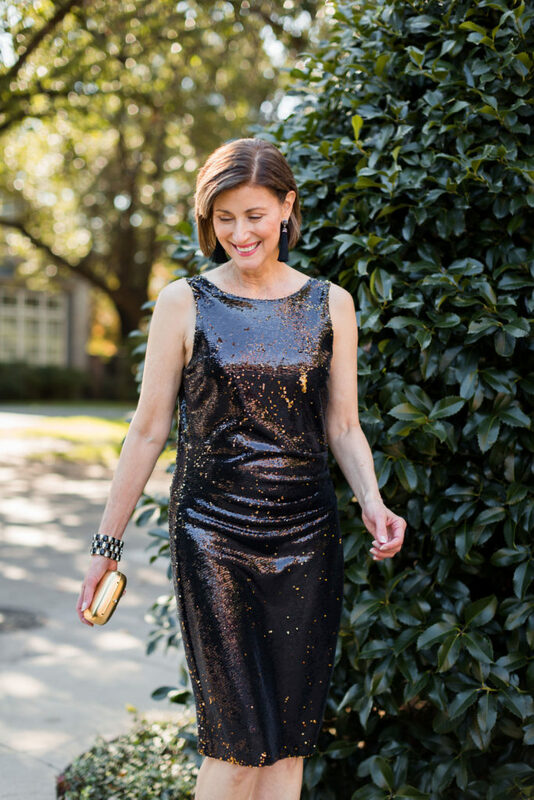 Getting dressed up for holiday parties takes some effort. I like to keep an arsenal of cocktail and evening dresses in my closet so I don’t have to scramble at the last minute for something to wear. 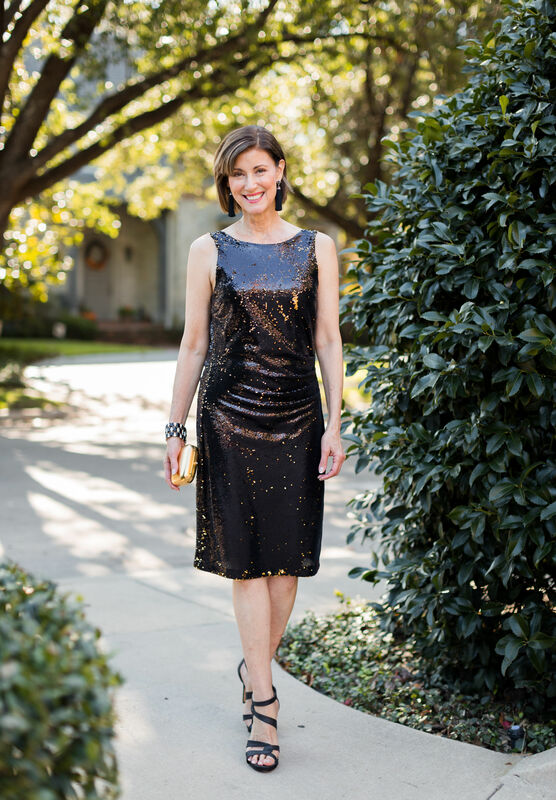 I suggest getting a great evening shoe, evening bag and some dressy earrings and you will have a great start. Those are just the basics. 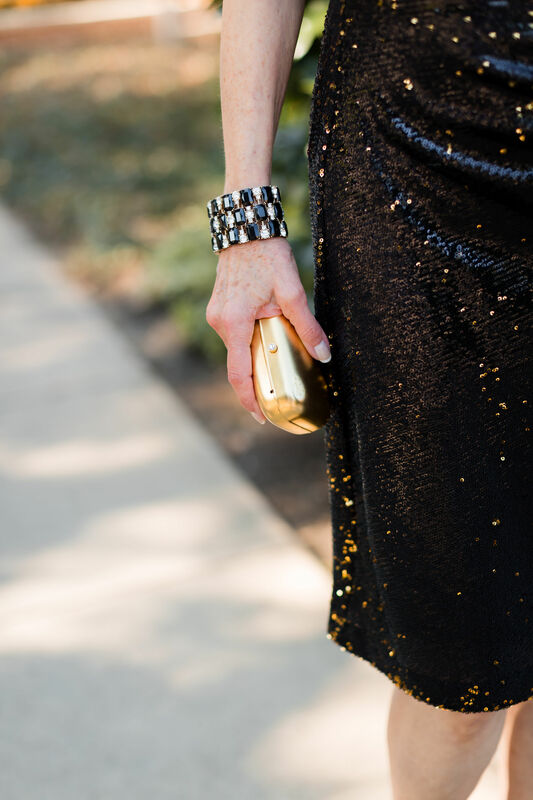 This season you will see lots of glitz and shine – more to come for New Year’s Eve. A dressy top with a velvet jean may take you to that office party. 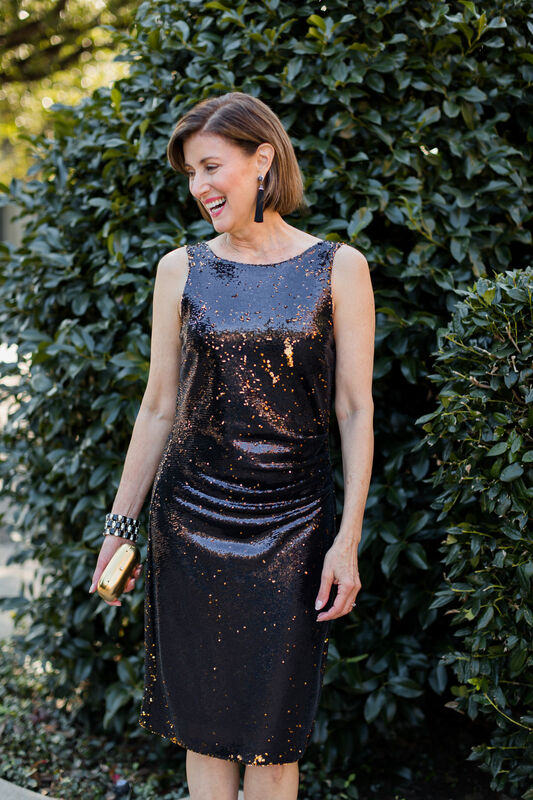 Adding a fancy earring to a basic black dress can take you from office to cocktail. You don’t have to spend a lot to look fabulous, it just takes some thought and effort. When shopping for your special event don’t forget the accessories. Find a pretty and comfy evening shoe to finish off your outfit. It is really easy to find fun dazzling earrings and jewelry. Earrings alone can dress up your outfit and an evening bag doesn’t have to break the bank. It’s all in the details! !